Once a tenant has been screened and selected, it may feel like the hard part is over. While to some degree this is true, there are a few important steps for moving tenants in. Keep in mind that not only do you have to make sure the unit is rent ready, you also need to have a clear and detailed move-in checklist. In fact, the move-in checklist is so important, that by forgetting to complete one when your tenant moves in. Can mean the difference between you paying for tenant damages versus your tenants who caused the damage. For this reason, before moving tenants in, make sure you and your new tenants have signed the move-in checklist. This sort of documentation is invaluable in the event a dispute arises regarding the condition of a rental when your tenant moves out. Particularly for cases when you decide not to return a portion of the security deposit to pay for damages. With this in mind, we offer some insight on a stress free move-in process. Whether your tenants are moving across country or across the street, having a stress free move-in process is as easy as planning ahead. So, before your tenants move-in, it is essential to have your rental property clean and in good condition (rent ready rental property). In addition to ensuring that you are in compliance with regulations regarding health and safety, such as checking for issues with mold, and asbestos in older buildings. It’s also important to ensure you have functioning smoke and carbon monoxide detectors. As a landlord, it is your responsibility to ensure that the rental property is habitable. Because if you don’t, you could potentially face a liability issue particularly when it comes to things like heating and plumbing. It’s generally a good idea to change the locks before a new tenant takes possession of the rental property. Having a consistent and thorough process for moving tenants in can help you avoid misunderstandings and disputes regarding the end of tenancy. In fact, if they have damaged the property and are moving out, a detailed move-in checklist will be your best defense for determining who is responsible for damage or repairs. And, whether or not you are justified in withholding security deposit funds upon move-out. It is worth the time and effort to prepare a move-in checklist that addresses all portions of your rental unit. Doing a walk through with your tenant prior to move-in helps you document the existing condition of your rental. Thus, enabling you to highlight any current damage, ideally with photographs in addition to the written move-in checklist. Make sure you and your tenants sign the documents, and each keep a copy for your records. Prior to your tenants moving in, you should go over the lease agreement with them section by section. This ensures they understand what they are agreeing to (and helps you avoid any lease violations). Once you have reviewed the lease agreement and answered any questions, you and the tenant should sign and date the lease agreement/rental agreement. 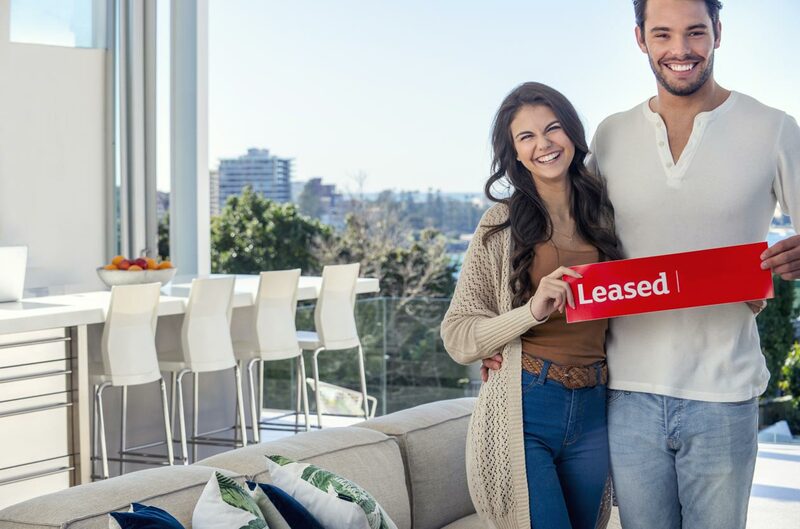 It is generally advisable to collect the first month’s rent and security deposit before your tenant moves into the rental unit. However, there is one exception to collecting the first month’s rent. If your tenant is receiving government assistance such as Section 8 then Section 8 will send you the check once your new tenant has moved into the unit. If you need help managing your tenants call us! We offer a wide variety of property management services such as leasing, consultation, and monthly management services. From North County San Diego to Downtown, we manage all types of rental properties including homes, condos, multiplexes such as duplex and triplexes, and even small apartment buildings. Let us manage your rental properties, so you can enjoy your life! Call us today at (858) 576-2176. We will save you time, money, and the stress that comes along with managing your own rentals.